No search result for "". Sorry,the selected promotion offer is not eligible for any of your reward cards. Forget your account password or account locked? Where did you sign up for your card? This Membership PIN is obtained during your membership registration. If you cannot find it, you need to contact your respective rewards card's membership centre. If you want to join without Member Card, you can use your mobile number / Email to register. Join now and get membership benefits! Password must be at least 8 characters with combination of 1 uppercase, 1 lowercase and 1 numeric. Compulsory for residents of USA only. You do not have any cards. You haven't add any favorite deals. Please enter if you have Rewards Card linked. Are you a Genting Rewards Alliance member? Where did you sign up for your Reward card? Select “Rewards Card Number”, then select your membership property. Fill up your Rewards Card Number and Membership Pin. Click on “Submit”. 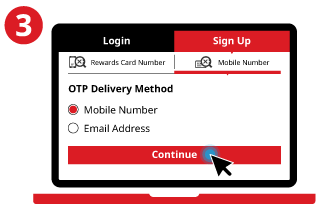 Select your preferred “OTP Delivery Method”, Mobile Number or Email Address. Click on “Continue”. Fill up your personal details and click on “Register”. If you selected: Mobile Number. 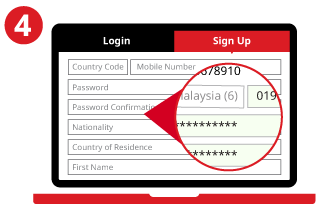 A One-Time Password (OTP) will be sent to the mobile number registered to your account. Insert the OTP to verify your account. 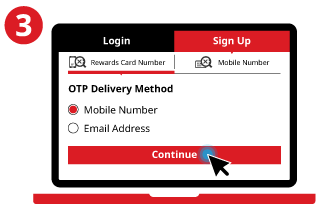 If you do not receive an OTP within 5 minutes, please email to grasupport@gentingrewards.com. If you selected: Email Address. A verification link will be sent to your email. Click on the link to activate your account. If you do not receive a verification email, please check your SPAM or Junk Folder. Select “Mobile Number / Email” and click on “Register”. A verification link will be sent to your email. Click on the link to authenticate your account. *Have more questions or need help? Check out our FAQ section here. ** If you need help, scroll over to (?) for more info. The Membership PIN is the PIN you have obtained when you first sign up for this membership card. A One Time Password (OTP) will be send to your mobile number registered to your member card. 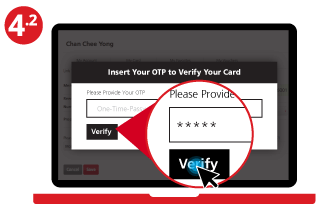 Insert the OTP to verify your card. If you did not receive an OTP within 5 minutes, please email grasupport@gentingrewards.com. 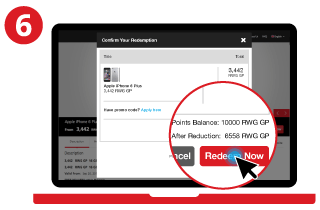 Genting Rewards Alliance accepts Genting Points for redemption of products. Members can earn points through their respective resorts such as Resorts World Genting, Resorts World Manila, Resorts World Casino New York City and Star Cruises. For a full list of property on board, click here. 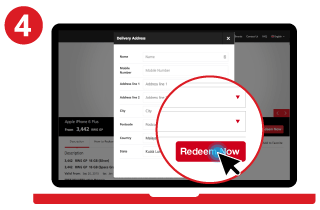 Click on “Redeem Now”, Email Address is required for redemption. If you did not provide email during registration, please do so when prompted and click on “Confirm”. Redemption verification and status is communicated via email. Select the membership card you would like to use for redemption of offer. Fill up your delivery details and click on “Redeem Now”. If you have a promo code, click on “Apply here”, enter the promo code and click on “Apply”. Check the redemption details and click on “Redeem Now”. Enter your password and click on “Verify”. A confirmation email will be sent to you and the redeemed voucher will be saved to your “My Vouchers” section. 1. How is Genting Rewards Alliance different from each property's application? This application is a platform that allows members of one or more participating GR issuers to sign-up and have a consolidated view of their point balance and use their points to perform cross-property redemption. Members from Resorts World Genting, Resorts World Manila and Star Cruises will be the first to experience Genting Rewards Alliance. 2. How do I register to become a Genting Rewards Alliance member? You must be a Genting Rewards (GR) Member from Resorts World Genting, Resorts World Manila and Star Cruises to be eligible for the Genting Rewards Alliance programme. You must apply and register online via GRA Site and/or Apps to become a GRA User to use the Services. Membership is free and exclusive to each individual. It is non-transferable. There is no expiry for Genting Rewards Alliance but you need to have a valid Genting Rewards membership to transact. 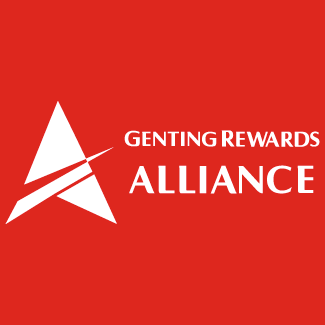 By applying and registering as a Genting Rewards Alliance User, you shall agree and be bound by our Terms & Conditions, as amended and supplemented from time to time. You need to provide your name, email, mobile number, date of birth, nationality and country of residence for application and registration as a Genting Rewards Alliance User. 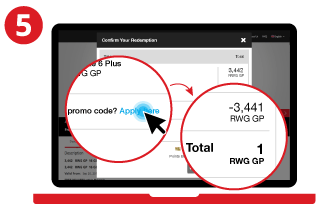 To access and use Services, you are required to follow the instructions at Genting Rewards Alliance Site and Apps. The email here will be your login/username. You shall keep your username and password confidential and secure. You are responsible for any losses that you may suffer if your Genting Rewards Alliance Account is used by others. 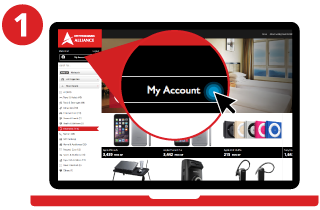 Your Genting Rewards Alliance Account must be registered with your valid personal email address. Emails may be sent to you in connection with the Services. We will require you to verify your account via an activation link (received by email) and One-Time Password (OTP) (received by sms/text). 3. What if I am not a Genting Rewards Member of any property? 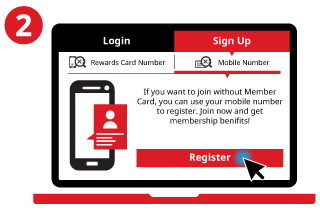 You may register a new Rewards Card by visiting Membership Counter nearest to you or visit any property website. 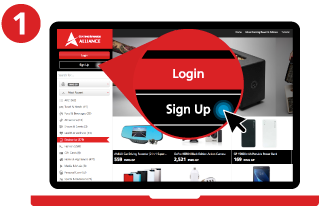 Online sign-up will be made available on Genting Rewards Alliance site and/or Apps at later stage. 4. What is PIN? Can I reset my PIN for Genting Rewards Alliance? PIN refers to your membership PIN that was assigned to you when you registered your membership card. For security reason, you are not allowed to reset your PIN on the Genting Rewards Alliance site. You are required to visit or contact the property for PIN reset. 5. Can I register as Genting Rewards Alliance user using different name as appear in my identity card/passport? Yes you can. 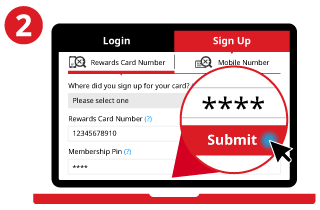 However for Genting Rewards card linking process to your Genting Rewards Alliance profile, you need to register using the same name, identity card/passport & date of birth as per registered info when you signed up with respective resort. The Genting Rewards Alliance system will verify against resorts membership system. If info matches, OTP will be sent to your mobile/email (depending on your choice) as registered in resort membership system. If you choose to use Membership PIN then OTP is not required. 6. Which web browser does the application work on? The Genting Rewards Alliance site works on Internet Explorer 9 or above, Firefox, Chrome, Safari or any smart device browser. We will notify all Genting Rewards Alliance members via email when we launch the Genting Rewards Alliance Mobile App. 7. What if I have registered to become Genting Rewards Alliance member but am still unable to sign-in? Without entering one of the above or both, your registration process has not been completed. 8. What if I did not receive the OTP or if the OTP has expired? 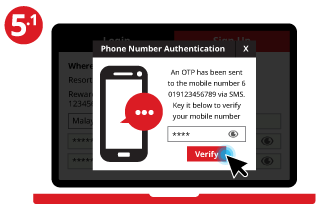 The system will automatically resend a new OTP to your registered mobile phone number upon sign in. 9. 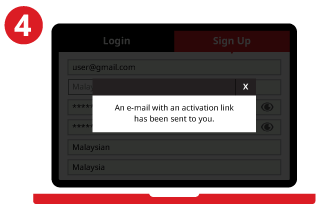 What if I did not receive the email activation link in my inbox or I cannot find the email? 10. What if I have problems with registration? You may email Genting Rewards Alliance support at grasupport@gentingrewards.com. 1. How do I redeem? 2. Why is the ‘Redeem’ button disabled on my screen? 3. Can I choose not to pay in points and use my credit card instead? At this stage, Genting Rewards Alliance redemption is only available through points. We will offer a pay by credit card / bank account feature at a later stage and will notify you via email when that feature is launched. 4. If I do not have sufficient points to redeem an item, can I combine points or top-up in cash? Points are non-transferable and no partial redemption or partial payment is allowed. 5. What if I am not sure if my redemption has gone through successfully? 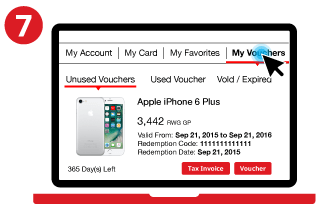 You may verify your list of claimed and unclaimed redemptions via 'the My Voucher' feature. If it appears under 'My Voucher'.this means that you have successfully redeemed the offer item. 6. How will I know which redemption voucher is/are still available? You may verify your unclaimed vouchers via 'My Voucher' feature. You will be able to view the voucher expiry date as well. Unfortunately, we will not be able to entertain refunds for vouchers once they are issued. 8. What if inventory runs out or your company is unable to fulfill my redemption item? If this is a result of a problem on our end, we will assist to get you a refund or offer alternative items of equivalent value in replacement. Please take note that this process may take some time and will be reviewed on a case-to-case basis only. 9. Why does one resort’s GP differ from another property's? Each resort has its own home currency which is not universal for all. For instance, Resorts World Manila is in PHP, Resorts World Genting is in MYR and Star Cruises is in USD. You need not have to convert these manually. Genting Rewards Alliance system will do the conversion automatically for you. a. The following terms and conditions (“T&C”) apply to the redemption and use of coupon codes and promotional codes ("Codes"). d.	A valid Code must be entered at the end of the redemption page in order to redeem the offer. e.	GRA User can only utilize the Coupon Code/ Promo Code once, per user. h.	Unless stated otherwise, Coupon Codes/Promo Codes are not valid in conjunction with other promotions or discounts. i. Additional terms and conditions (“T&C”) may be specified in relation to specific Code (for example, duration, eligibility, discount amount and products covered), and will govern the use and redemption and usage of Codes. the inability to redeem due to technical issues. You have to click on 'Forgot Password' on the Genting Rewards Alliance login screen. A verification link will be sent to your Genting Rewards Alliance email. Please click on the link and follow the instructions accordingly. 2. Why do I get signed-out of Genting Rewards Alliance automatically when idle for a while? If your screen is idle for 30-mins, you will be automatically signed out. 3. Can I log on to 2 or more devices with same account? Yes, you can. However, you are advised to sign off on any device that is not in use. This is to avoid any unauthorised user from accessing your account without you knowing. 4.What happens if my device hangs? 5. Why do I get a connection time-out notification? 6. What happens if there is discrepancy between Genting Rewards Alliance system and the Resort membership system? In the event of any discrepancy or inconsistency between Genting Rewards Alliance and Resort Membership system, the information in resort membership system will prevail. 1. How many Genting Rewards membership card can I link under my profile? There is no limit. For now, Genting Rewards Alliance only accepts Genting Rewards from Resorts World Genting, Resorts World Manila and Star Cruises. 2. 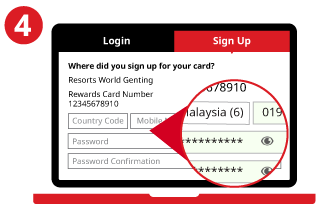 Why do I need to link all my Genting Rewards card number? 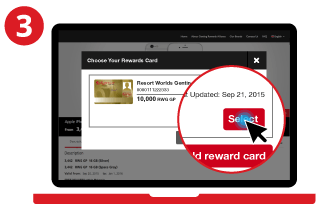 Maintain all your Genting Rewards cards in one profile and view at one glance. 3. What if my OTP was never received or has expired? 4. 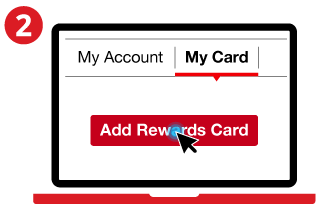 Can I delete my Genting Rewards card profile? You will not be able to remove your card profile. There is no reason for you to remove the profile as Genting Rewards is a lifetime membership (ie.. never expires). 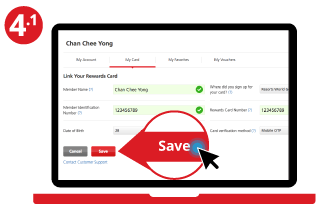 If for whatever reason you need to delete your Genting Rewards card profile, please email to grasupport@genting.com. We will review your requests on a case-to-case basis. 5. Why are there so many OTPs required for the Genting Rewards Alliance site? There are 2 types of OTPs used on the Genting Rewards Alliance site. 6. Why did my attempt to add new Rewards Card/s fail? The mobile number that you have registered with the resort during registration may have now become obsolete. As such, the OTP failed to reach you. You have to update your new mobile number with the respective resort. 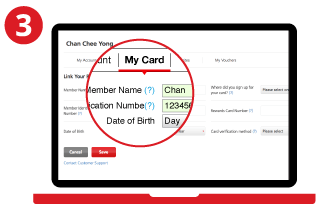 Once this is updated, you need to sign-in, go to 'My Card', click on 'Pending' card, and a new OTP will be sent to your new mobile number. Genting Rewards Alliance is an international loyalty program, exclusively available for Genting Rewards members from Resorts World Genting, Resorts World Manila, Star Cruises and many more. For a full list of properties on board, please refer below. Members can now redeem not only local offers, but also international offers from Malaysia, Singapore, Hong Kong, Taiwan, Manila and China with your membership points. 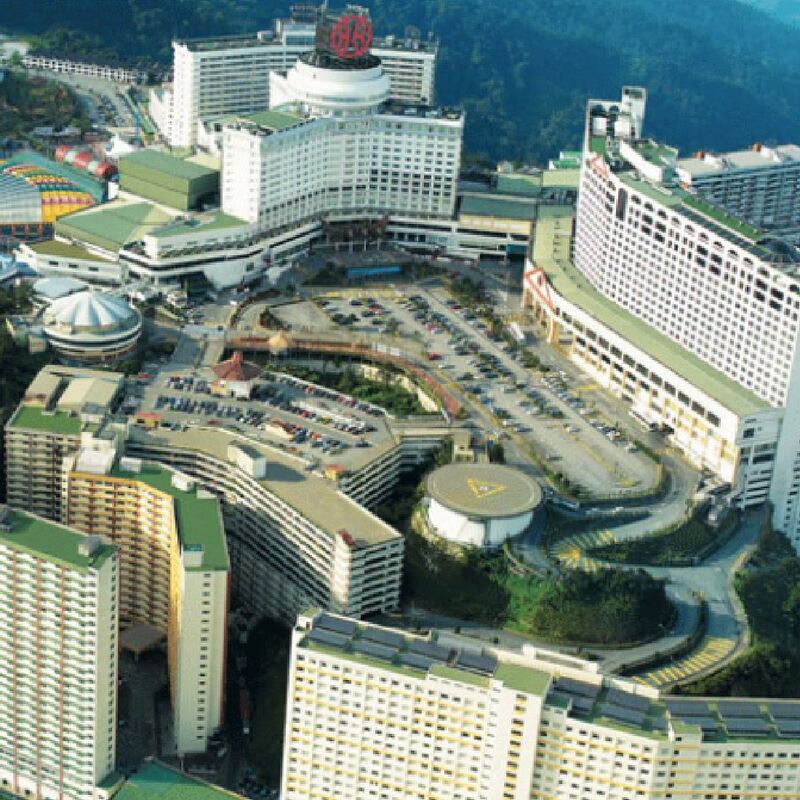 At 6,118 feet above sea level amidst a rare 130 million year-old rainforest, Resorts World Genting is Malaysia’s premier integrated mountain resort. Besides First World Hotel – one of the world’s largest hotels – it is home to the exclusive Maxims Club, Suites and Residences. Resorts World Genting is also the renowned ‘Mountain of Food’ – a palatable roof for over 100 food and beverage outlets serving hundreds of appetising dishes. For thrills and spills, 70 exhilarating rides await adrenaline seekers at the Indoor and Outdoor Theme Parks, while 80 retail outlets make up the ultimate shopaholic’s haven. The Philippines’ first integrated tourism hub is fast becoming one of Asia’s favourite playgrounds, home to world-class leisure and entertainment. 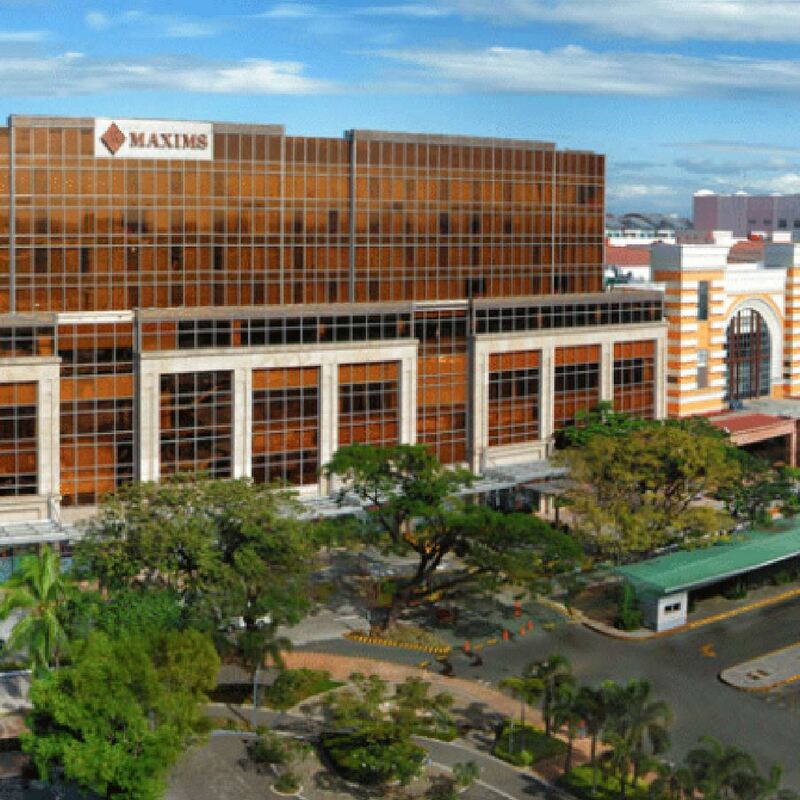 Relax at the five-star Marriott Hotel Manila, the value-for-money Remington Hotel, or at the luxurious, all-suite Maxims Hotel. Play in the country’s newest and largest gaming facility. Indulge yourself at Newport Mall’s high-fashion boutiques, top-notch dining outlets and state-of-the-art cinemas. Catch a concert or a musical at the grand Newport Performing Arts Theater. Resorts World Manila also houses the prestigious Genting Club, an exclusive, members-only lifestyle club with a private gaming area, boutique restaurants and other indulgences. Genting Club is where the movers and shakers of Manila’s high society gather for premium recreation amidst their peers. Resorts World AT SEA, the club of world-class leisure, entertainment and hospitality at sea, is wholly owned by Genting Hong Kong, a company of the worldwide Genting Group. 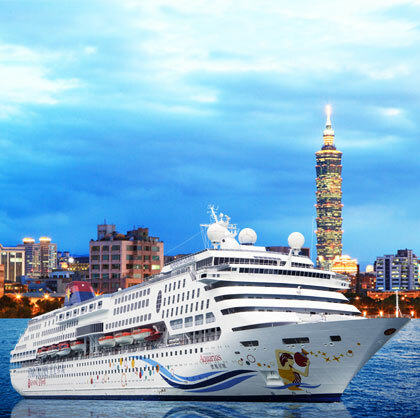 Resorts World AT SEA is the club operator for Genting Cruise Lines comprising of Star Cruises, Dream Cruises and Crystal Cruises, and our ultimate goal is to provide the best entertainment experience to our guests. All excitement starts here! Owned and operated by Asia’s largest operator, the Clubs brim with boundless activities and are complemented with unparalleled customer privileges. It is our commitment to offer the best-in-class services and facilities, and serve our guests with a remarkable cruise vacation. Our dedication is to presend every single precious guest upscale entertainment, leisure and hospitality experiences while continuously expanding our operations to enhance guest experience with Resorts World AT SEA. 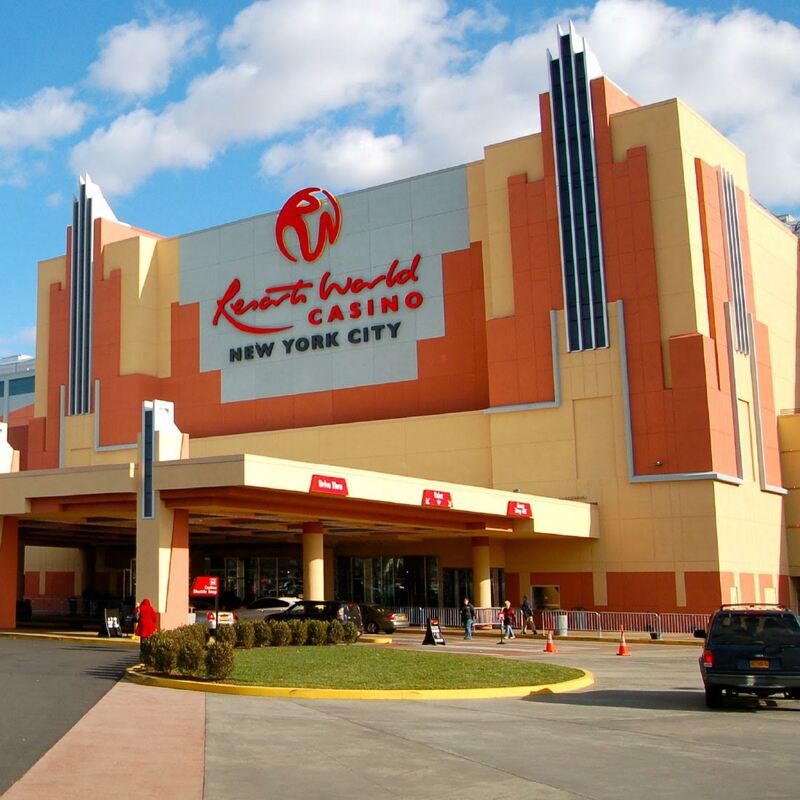 Resorts World Casino New York City (RWNYC) is the only casino in New York City, offering over 6,000 video and electronic table games to 10 million guests annually. This property provides an unparalleled gaming and entertainment experience while generating over $2 billion for the State’s education system.The property features three unique levels of gaming, Times Square Casino, Fifth Avenue Casino and Central Park Casino, along with several high-limit rooms for Platinum and Black Card members. Conveniently located minutes away from JFK Airport, it’s easily accessible by the A Train, Q37 bus, and LIRR to Jamaica Station with pick-up from free casino shuttle. RWNYC is operated by the Genting Group, a global company founded in 1965. Yes, I like to receive exclusive deals, promotions and updates by Email and SMS. ©Resorts World Inc Pte Ltd.2014.All Rights Reserved. You do not have any vouchers. Verified link has been sent to the email.! Would you like to disable login with phone number? Would you like to disable login with email address? An OTP has been sent to the mobile number via SMS. (3) attempts left. How would you like to get your OTP? Provide your email address to receive email newsletter with the latest offers and special promotions! Email is also required for redemption confirmation. Since you don’t have access to your current Email / Mobile, we need to verify your identity to keep your account secure. 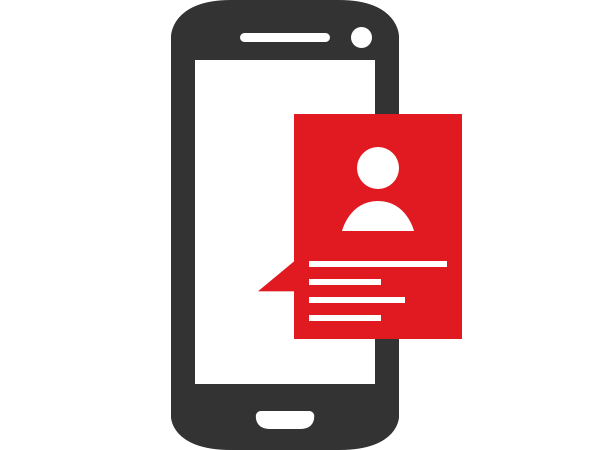 These terms and conditions govern ("T&C") the Genting Rewards Alliance ("GRA") and the use of its website and mobile applications (singly and collectively “GRA Site and Apps”). The GRA is an integrated loyalty program for all Genting Rewards (“GR”) Members. GR Members from Resorts World Genting, Resorts World Manila, Resorts World At Sea and Resorts World Casino New York City (collectively “Properties”) are the first to experience and redeem the GRA promotions. Pursuant to an internal restructuring, the new owner of GRA is RW Tech Labs Sdn Bhd (Company No. 959674-H) a company incorporated in Malaysia and having its registered address at 24 Floor, Wisma Genting, 50250 Kuala Lumpur. The GRA is a global online redemption alliance programme with participation from the Properties and third party suppliers/service providers as alliances to the GRA (collectively “Alliances”). The GRA will be extended to more Properties/Alliances in the future. The list of the Alliances will be updated from time to time. Certain of the Alliances are issuers of the Genting Rewards Programmes at their respective Properties (singly and collectively “GR Programmes”). The GRA is a platform for cross-redemption of rewards and promotional privileges in which great offers of products and services such as room nights, cabins, show tickets, theme park tickets, services, discounts and privileges are made available by the Alliances for redemption by the GRA Users ("Rewards"). Membership in the GRA is free and is open to all eligible GR Members. "Services" means the services provided by GRA including the redemption of Rewards at the GRA Site and Apps. "GRA Account" means the online account that each and every GRA User is assigned upon registration as a GRA User. "GRA User" means a GR Member who apply and register via the GRA Site and/or Apps to use the Services. "GR Members" means members of the GR Programmes. "GR Points" means loyalty points earned under the GR Programmes. You must be a GR Member to be eligible to become a GRA User. You must apply and register online via the GRA Site and/or Apps to become a GRA User to use the Services. By applying and registering as a GRA User, you shall agree and be bound by the T&C, as amended and supplemented from time to time. You need to provide your name, your GR Members’ membership number, email and mobile number for application and registration as a GRA User. To access and use the Services, you are required to follow the instructions at the GRA Site and Apps. 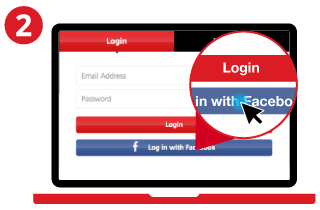 Once accepted as a GRA User, you shall select a username and password for the creation of your GRA Account. You shall keep your username and password and confidential and secure. You are responsible for any losses that you may suffer if your GRA Account is used by others. The GRA Account must be registered with your valid personal email address. Emails may be sent to you in connection with the Services. We may require you to verify your GRA account if we believe you have been using an invalid email address. The Services are provided exclusively and privilege to the GRA Users. The GRA Site and Apps are free to download and use. Your GRA Account is personal to you. You shall not let others log on to your GRA Account for the purposes of using the Services and redeeming the Rewards. The GRA Users are entitled to use the Services to enjoy the Rewards. The GRA Users will not be accorded any GR Points under the GRA as the GRA is a redemption program. The GRA Users in their capacities as GR Members will continue to earn GR Points under their respective GR Programmes. The GRA provides a platform for the GRA Users to redeem the Rewards which are available for redemption using their respective GR Points. The GRA membership activation at the GRA Site and/or Apps is required before performing any redemption. You must have sufficient GR Points for the Rewards you want to redeem. GR Points are not transferable to or from another GRA User. The procedures involved in redemption. Restriction in the quantity of a Reward that you may redeem, (if applicable). Classification of GRA Users into different categories. Availability of different Rewards for different categories of GRA Users. All the Rewards components stated in the Rewards must be redeemed in one visit unless otherwise stated. There may be Rewards that are valid for one-time redemption only unless stated otherwise. All Rewards are not stackable or valid on top of other ongoing promotions and discounts unless otherwise stated. Duplicate use, sale or trade of an offer is prohibited. The bases upon which a GRA User could redeem the Rewards shall be determined by us/Alliances at our sole and absolute discretions and may be changed from time to time without prior notice. The GR Points utilised for redemption of the Rewards will be deducted from the GRA Users’ account under their respective GR Programmes. No loyalty points will be accorded for redemption. If any Rewards is redeemed by using GR Points that are fraudulently or wrongfully earned, the GRA Users shall be liable to reimburse us the value of such GR Points or return the Rewards to us, as directed by us. We reserve our right to decline any request for redemption or recall any Rewards if we or Alliances are of the view that the GR Points used by the GRA Users are fraudulently or wrongfully recorded. All the Rewards are subject to availability and we and the Alliances reserve our right to replace any Reward of approximate value without prior notice. Select the Rewards you want to redeem. When a redemption process is completed, a confirmation e-voucher on the transaction (“e-Voucher”) will be issued to you. You shall print the e-Voucher so that you could produce the same for redemption of the Rewards. Once a redemption process is completed, you cannot revoke, amend, cancel such transaction or return or exchange any Rewards redeemed. For Rewards that require prior reservations, please contact our concierge line at graresv@gentingrewards.com with the information found on the Rewards. The Alliances who made available the Rewards are responsible for the fulfillment of their respective Rewards. We are merely facilitating the redemption of the Rewards at the GRA Site and Apps. Unclaimed Rewards will be forfeited and the GR Points deducted for such redemption will not be reinstated. Reproduction, sale, resale or trade of e-Voucher is prohibited and any such e-Voucher is void. The e-Vouchers are not exchangeable for cash or in kind. If the e-Voucher is used for less than its face value, there is no entitlement to a credit, cash or new e-Voucher equal to the difference between the face value and the amount redeemed. The e-Vouchers are to be used in their entirety only and may not be used partially. It is at the sole discretion of the Alliances to determine whether use of the e-Vouchers can be combined with any other promotions, vouchers, third party certificates or coupons. We and the Alliances are not responsible for lost or stolen e-Vouchers. All e-Vouchers are not transferable unless stated otherwise. The e-Vouchers (including, but not limited to, any discounts therein) may have expiry dates if so specified on the e-Vouchers. No replacement or extension will be given for any expired e-Vouchers. Any redemption of the Rewards that require prior reservations via GRA will only be processed during business days of the relevant locales/ countries i.e. from Monday to Friday, 9.00am to 6.00pm (excluding Saturday, Sunday and public holiday) and reservation shall be made at least 5 business days in advance. The GRA will only process reservations with complete details received at graresv@gentingrewards.com. The GRA Users would need to receive a confirmation from graresv@gentingrewards.com on their reservations status. The GRA Users shall bear any additional service charges and taxes that might incur for reservations of the Rewards. Upon confirmation from graresv@gentingrewards.com, delivery of physical goods will take between 7 to 15 business days, subject to the locations/countries of deliveries. The business days are Monday to Friday, 9.00am to 6.00pm of the relevant locales/ countries of deliveries, excluding Saturday, Sunday and public holiday. For any delivery arranged via the Malaysia GRA online catalogue to locations out of Malaysia, additional delivery charges may be incurred and shall be borne by the GRA Users. The GRA will advise the GRA Users accordingly should there be any additional delivery charges and remittance of charges before proceeding with the delivery. You are advised to open and inspect the good(s) on the same day you receive/collect the good(s). All good(s) received/accepted will be non-exchangeable and non-refundable. If the good(s) are damaged or faulty upon delivery/collection, the GRA User would need to contact the relevant Alliance within 24 hours upon receipt of the good(s). Booking cancellation request may be considered if the booking request was not confirmed by graresv@gentingrewards.com. A cancellation request will not be entertained if the booking confirmation was communicated by the GRA to the relevant Alliance and such Alliance has processed the redemption. When a booking is successfully cancelled, the GRA User can use the e-Voucher again for a new booking, subject to its validity period. The GR Points are non-refundable for e-Voucher issued unless otherwise agreed in writing by the GRA/the Alliance at their sole discretion on a case-to-case basis. To request for a refund of the GR Points email to graresv@gentingrewards.com with the following details: the GRA User’s name, the e-Voucher code and details and the reason for refund. For a successful request, the GRA shall be entitled to deduct and retain 20% of the GR Points approved for refund. You accept full responsibility for all activities that occur through your GRA Account. You agree to: notify us immediately at grasupport@gentingrewards.com if you become aware of any unauthorized use of your GRA Account. The Alliances may provide their own terms and conditions, in relation to the Rewards made available by them, and you agree to abide by those terms and conditions. A GRA User who redeems the Rewards made available by the relevant Alliance shall be deemed to have notice of, and agreed to, the additional terms and conditions governing the Rewards set by such Alliance in the relevant territory in which Alliance operates and to have entered into, and be bound by, a collateral contract with such Alliance in that territory based on such terms and conditions whereby, inter alia, any dispute arise in that territory relating to the Rewards shall be exclusively resolved between such GRA User and such Alliance under the laws of that territory and the terms and conditions governing the Rewards in that territory. Your use of the Rewards, and any other terms, conditions, warranties or representations associated with such use, are solely between you and the relevant Alliances who made available such Rewards. We are not the supplier of the Rewards, as such, you agree that we shall not be responsible or liable for any loss or damage of any kind in respect of the Rewards and its use. You agree that all information provided to us by you is true, complete and accurate and that you will promptly inform us of any changes to such information by updating the details in your account. We do not warrant that your use of the Services will be uninterrupted and we do not warrant that any information (or messages) transmitted via the Services will be transmitted accurately, reliably, in a timely manner or at all. There is no guarantee that the Services and the GRA Site and Apps will be free of faults (or e-Vouchers will be free of errors). In the event of an error or fault, you should email us at grasupport@gentingrewards.com. We will use reasonable effort to correct any errors or omissions. We do not give any warranty that the Services and the GRA Site and Apps are free from computer viruses or anything else which has destructive properties and shall have no liability in respect thereof. Whilst we endeavor for uninterrupted Services and GRA Site and Apps, there may be circumstances in which the Services, may be suspended, restricted or terminated. We reserve the right to change, modify, substitute, suspend or remove without notice any information or e-Voucher or the Services or the GRA Site and Apps at any time and from time to time. Your access and use of the Services and the GRA Site and Apps may be interrupted for repairs, maintenance or the introduction of new facilities or services. You acknowledge that the GRA Site and the Apps are provided over the internet and mobile networks and the quality and availability of the GRA Site and the Apps may be affected by factors beyond our control. All our rights and obligations under the GRA and the Services are assignable by us in connection with an acquisition or sale of business assets or by operation of law or otherwise. As your use of the Services is a privilege under the GRA, any suspension of your membership under the GR Programme will result in your suspension or termination of the Services. The Services will be restored to you upon the lifting of the suspension of your membership under the GR Programmes. If your use of Services or an e-Vouchers is in contravention of the T&C, we may suspend your use of the Services. If we suspend the Services or void an e-Voucher, we reserve the right not to restore the Services or to recognise such e-Voucher until we receive a satisfactory assurance from you that there will be no further breaches of the T&C. We reserve the right to stop or suspend your use of the Services; and/or terminate you as a GRA User at any time if in our reasonable opinion, you have committed or are committing any wrong against us or any of the Alliances. Notwithstanding any of the T&C herein, we reserve the right to terminate you as a GRA User at any time without assigning any reason therefor without prejudice to any right or remedy we may have in respect of any antecedent breach of the T&C by you. We reserve the right to terminate or suspend the GRA and Services at any time and for any reason whatsoever. If the GRA is suspended or terminated for whatever reasons, neither we and the Alliances shall be liable to the GRA Users for whatever losses or damages (direct and indirect) that may be suffered by them including but not limited to loss of the GR Points and the Rewards. YOU SHALL INDEMNIFY AND KEEP US AND THE ALLIANCES INDEMNIFIED FROM ANY LOSS, PENALTY, DAMAGE, COSTS AND EXPENSES (INCLUDING BUT NOT LIMITED TO LEGAL COSTS) WHICH WE AND/OR THE ALLIANCES MAY INCUR BY REASON OF (I) ANY BREACH BY YOU IN COMPLYING WITH THE T&AMP;C; OR (II) USE OF SERVICES; OR (III) USE OF REWARDS. WE DO NOT WARRANT AND WE EXCLUDE ALL LIABILITY IN RESPECT OF ACCURACY, COMPLETENESS, FITNESS FOR PURPOSE OR LEGALITY OF THE SERVICES; THE TRANSMISSION OR THE RECEPTION OF OR THE FAILURE TO TRANSMIT OR TO RECEIVE ANY MATERIAL OF WHATEVER NATURE; AND YOUR USE OF THE SERVICES (WHICH IS ENTIRELY AT YOUR OWN RISK AND RESPONSIBILITY). WE DO NOT WARRANT THE REWARDS IN RESPECT OF THE QUALITY, SAFETY, USABILITY OR ANY OTHER ASPECT OF THE REWARDS. IN NO EVENT SHALL WE AND ANY OF THE ALLIANCES BE LIABLE TO YOU OR ANY THIRD PARTY IN TORT AND CONTRACT FOR ANY LOSS OR INJURY OR ANY SPECIAL, DIRECT, INDIRECT, INCIDENTAL, EXEMPLARY OR CONSEQUENTIAL LOSSES OR DAMAGES WHATSOEVER OR HOWSOEVER CAUSED IN CONNECTION WITH THE USE OF THE SERVICES AND THE REWARDS. TO THE FULL EXTENT PERMITTED BY LAW, WE AND THE ALLIANCES HEREBY DISCLAIM ANY AND ALL SUCH WARRANTIES AND REPRESENTATIONS IN RESPECT TO THE SERVICES AND THE REWARDS AND YOU SHALL WAIVE ALL CLAIMS AGAINST US AND THE ALLIANCES. IF WE AND/OR ALLIANCES ARE FOUND LIABLE BY A COURT OF COMPETENT JURISDICTION, THE SOLE LIABILITIES OF US AND THE ALLIANCES TO YOU FOR ANY CAUSE OF ACTION, TO THE EXTENT PERMITTED BY LAW, SHALL BE LIMITED TO RESTORING OR ACCORDING ANY OF THE GR POINTS AND/OR THE REWARDS. The GRA User shall give written notice to grasupport@gentingrewards.com if he/she opts not to receive any of the Catalogues. The GRA User shall not hold GRA and Alliance liable for any losses or damages (either directly or indirectly) that may be suffered by the GRA User arising from delay or non-receipt of the Catalogues or error in the Catalogues, if any. In order to be eligible to use the GRA, the GRA User must provide his/her personal data (consisting of names, identity card/passport numbers, date of birth, addresses, contact numbers and such other information required by the GRA from time to time). Such data together with information of redemption transactions (“Database”) will be solely held by the GRA or jointly held by the GRA and the Alliance (as being informed at the time of application or set out in the application form)(collectively referred to as the “Database Holder(s)” for the purpose of this Section) and the GRA Users hereby irrevocably and unconditionally agrees that the Database shall be held in a database system managed by the GRA. The GRA User shall immediately notify the Database Holder(s) in writing of any change of his/her Database whereupon the Database Holder(s) shall take all practicable steps to update the Database within a reasonable time Provided That the Database Holder(s) shall not be liable for any losses or damages that may be suffered by the GRA User arising whether directly or indirectly from the Database Holder(s) delay or failure in updating the Database for any reasons whatsoever. The copyright and all intellectual property rights at the GRA Site and Apps, together with the website design and images belonged to us and all rights are reserved. You shall not copy, reproduce, distribute, or create derivative works from any content of the GRA. The GRA Site and Apps may contain links to any of Alliances’ websites and/or third party websites (collectively "Hyperlinks"). We have no control over and do not assume any responsibility for the Hyperlinks or their contents thereof. We accept no responsibility for any loss or damage from your use of Hyperlinks. If you decide to access any of the third party websites linked via the Hyperlinks, you do so entirely at your own risk. The GRA will process feedback and enquiries received at grasupport@gentingrewards.com on Monday to Friday, 9.00am to 6.pm MYT (excluding Saturday, Sunday and Malaysia public holiday. T&C shall be governed by and construed in accordance with the laws of Malaysia. These terms and conditions govern ("T&C") the Genting Rewards Alliance in the United States of America ("GRA US") of Resorts World Services Inc, a company with its registered office at 2711 Centerville Road, Suite 400, Wilmington, New Castle, State of Delaware, U.S.A ("RW Services Inc") and the use of the website and mobile applications at (www.gentingrewards.com)(singly and collectively "GRA Site and Apps"). GRA US is part of the Genting Rewards Alliance ("GRA"). The GRA is a global online redemption alliance programme with participation from Resorts World branded properties around the world ("RW Properties") and third party suppliers/service providers as alliances to the GRA (collectively "Alliances"). The RW Properties are issuers of the Genting Rewards Programmes at their respective RW Properties (singly and collectively "GR Programmes"). The GRA is a platform for cross-redemption of rewards and promotional privileges in which great offers of products and services such as room nights, cabins, show tickets, theme park tickets, services, discounts and privileges are made available by the Alliances for redemption by the GRA Users ("Rewards"). Membership in the GRA is free and is open to all eligible GRA US Users in the United States of America who are 18 or above. "GRA US Account" means the online account that each and every GR US Member is assigned upon registration as a GRA US User. "GRA US User" means a GR US Member who applies and registers via the GRA Site and/or Apps to join GRA US. "GR US Member" means a member of the GR Programmes in the United States of America. 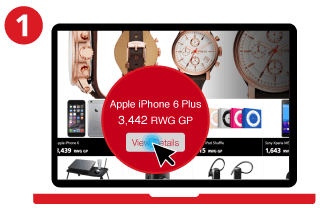 "GR Points" means loyalty points earned under the Genting Rewards loyalty programme of Resorts World branded US Properties, the Properties and such other resorts/properties that participate in the GRA from time to time. Membership in the GRA US is free. You must be a GR US Member and 18 or above to be eligible to become a GRA US User. You must apply and register online via the GRA Site and/or Apps to become a GRA US User. Once you are a GRA US User, you are eligible to apply and register online via the GRA Site and/or Apps to become a GRA User for the purposes of enjoying the Services. To access and use the Services, you are required to follow the instructions of GRA at the GRA Site and Apps. By applying and registering as a GRA US User, you shall agree and be bound by the T&C, as amended and supplemented from time to time at our sole discretion. You need to provide your name, your GR US Members' membership number, email and mobile number for application and registration as a GRA US User. Once accepted as a GRA US User, you shall select a username and password for the creation of your GRA US Account.The GRA US Account must be registered with your valid personal email address. Emails may be sent to you in connection with GRA US. We may require you to verify your GRA US account if we believe you have been using an invalid email address. You accept full responsibility for all activities that occur through your GRA US Account. You agree to notify us immediately at grasupport@gentingrewards.com if you become aware of any unauthorized use of your GRA US Account. We do not warrant that your use of the GRA Site and Apps will be uninterrupted and we do not warrant that any information (or messages) transmitted via the GRA Site and Apps will be transmitted accurately, reliably, in a timely manner or at all. There is no guarantee that the GRA Site and Apps will be free of faults. In the event of an error or fault, you should email us at grasupport@gentingrewards.com. We will use reasonable effort to correct any errors or omissions. We do not give any warranty that the GRA Site and Apps are free from computer viruses or anything else which has destructive properties and shall have no liability in respect thereof. Whilst we endeavor for uninterrupted GRA Site and Apps, there may be circumstances in which the GRA Site and Apps, may be suspended, restricted or terminated. We reserve the right to change, modify, substitute, suspend or remove without notice any information or the GRA Site and Apps at any time and from time to time. Your access and use of the GRA Site and Apps may be interrupted for repairs, maintenance or the introduction of new facilities or services. All our rights and obligations under the GRA US are assignable by us in connection with an acquisition or sale of business assets or restructuring or by operation of law or otherwise. Any suspension of your membership under the GR Programme will result in your suspension or termination of the GRA US User’s membership. The GRA US User’s membership will be restored to you upon the lifting of the suspension of your membership under the GR Programmes. If your use of GRA Site and Apps is in contravention of the T&C, we may suspend you as a GRA US User. We reserve the right to stop or suspend your use of the GRA Site and Apps; and/or terminate you as a GRA US User at any time if in our reasonable opinion, you have committed or are committing any wrong against us or any of the Alliances. Notwithstanding any of the T&C herein, we reserve the right to terminate you as a GRA US User at any time without assigning any reason therefor without prejudice to any right or remedy we may have in respect of any antecedent breach of the T&C by you. We reserve the right to terminate or suspend the GRA US at any time, with or without notice, and for any reason whatsoever. If the GRA US is suspended or terminated for whatever reasons, we shall not be liable to the GRA US Users for whatever losses or damages (direct and indirect) that may be suffered by them including but not limited to loss of the GR Points and the Rewards. YOU SHALL INDEMNIFY AND KEEP US INDEMNIFIED FROM ANY LOSS, PENALTY, DAMAGE, COSTS AND EXPENSES (INCLUDING BUT NOT LIMITED TO LEGAL COSTS) WHICH WE MAY INCUR BY REASON OF ANY BREACH BY YOU IN COMPLYING WITH THE T&C. WE ARE NOT RESPONSIBLE FOR PRODUCTS OR SERVICES OFFERED FOR REDEMPTION UNDER THE GRA. WE DO NOT WARRANT AND WE EXCLUDE ALL LIABILITY IN RESPECT OF ACCURACY, COMPLETENESS, FITNESS FOR PURPOSE OR LEGALITY OF THE SERVICES; THE TRANSMISSION OR THE RECEPTION OF OR THE FAILURE TO TRANSMIT OR TO RECEIVE ANY MATERIAL OF WHATEVER NATURE (WHICH IS ENTIRELY AT YOUR OWN RISK AND RESPONSIBILITY). IN NO EVENT SHALL WE BE LIABLE TO YOU OR ANY THIRD PARTY IN TORT AND CONTRACT FOR ANY LOSS OR INJURY OR ANY SPECIAL, DIRECT, INDIRECT, INCIDENTAL, EXEMPLARY OR CONSEQUENTIAL LOSSES OR DAMAGES WHATSOEVER OR HOWSOEVER CAUSED IN CONNECTION WITH THE USE OF THE GRA SITE AND APPS AND YOUR GRA US MEMBERSHIP. TO THE FULL EXTENT PERMITTED BY LAW, WE HEREBY DISCLAIM ANY AND ALL SUCH WARRANTIES AND REPRESENTATIONS IN RESPECT TO THE GRA SITE AND APPS AND THE GRA US USER MEMBERSHIP AND YOU SHALL WAIVE ALL CLAIMS AGAINST US. IF WE ARE FOUND LIABLE BY A COURT OF COMPETENT JURISDICTION, THE SOLE LIABILITIES OF US TO YOU FOR ANY CAUSE OF ACTION, TO THE EXTENT PERMITTED BY LAW, SHALL BE LIMITED TO RESTORING OR ACCORDING ANY OF THE GR POINTS AND/OR THE REWARDS. The GRA US User shall give written notice to grasupport@gentingrewards.com if he/she opts not to receive any of the Catalogues. The GRA US User shall not hold us liable for any losses or damages (either directly or indirectly) that may be suffered by the GRA US User arising from his/her GRA US User’s membership, if any. In order to be eligible to join the GRA US, the GRA US User must provide his/her personal data (consisting of names, identity card/passport numbers, date of birth, addresses, contact numbers and such other information required by the GRA US from time to time). Such data together with information of redemption transactions ("Database") will be solely held by the GRA US or jointly held by the GRA US, GRA and the Alliance (as being informed at the time of application or set out in the application form)(collectively referred to as the "Database Holder(s)" for the purpose of this Section) and the GRA US User hereby irrevocably and unconditionally agrees that the Database shall be held in a database system managed for or by the GRA US. The GRA US User shall immediately notify the Database Holder(s) in writing of any change of his/her Database whereupon the Database Holder(s) shall take all practicable steps to update the Database within a reasonable time Provided That the Database Holder(s) shall not be liable for any losses or damages that may be suffered by the GRA US User arising whether directly or indirectly from the Database Holder(s) delay or failure in updating the Database for any reasons whatsoever. The GRA Site and Apps may contain hyperlinks. We have no control over and do not assume any responsibility for the hyperlinks or their contents thereof. We accept no responsibility for any loss or damage from your use of hyperlinks. If you decide to access any of the third party websites linked via the hyperlinks, you do so entirely at your own risk. The GRA US will look into feedback and enquiries received at grasupport@gentingrewards.com and we will come back to you. Genting Rewards members from Resorts World Casino New York City are the first to experience Genting Rewards Alliance in the United States of America ("GRA US"). The owner, operator and manager of GRA US, including its website and mobile applications (collectively, “GRA US Site and Apps”) is RW Services Inc, with its registered address at 2711 Centerville Road, Suite 400, Wilmington, New Castle, State of Delaware, United States of America and contact number at +1 302 636 5400. GRA US is a global online redemption alliance program with participation from Resorts World Genting, Resorts World Manila, Resorts World AT SEA and Resorts World Casino New York City (collectively, “Properties”) as alliances to the GRA US ("Alliances"). GRA US will be extended to more Properties/Alliances in the future. The list of Alliances will be updated from time to time. The Alliances are issuers of the Genting Rewards Program or such other program at their respective Properties. GRA US is a platform for cross-redemption of rewards and promotional privileges in which great offers of goods, products such as rooms, cabins, show tickets, theme park tickets, services, discounts and privileges are made available by the Alliances for redemption. You can withdraw your consent and limit your consent, at any time, to any of the collection and use (including disclosure) of your personal data by email to us at grasupport@gentingrewards.com. Please note that if you withdraw or limit your consent, we may still contact you or use your personal data for purposes which you have not withdrawn or limited your consent. If you withdraw or limit your consent to any uses of your personal data, we may not be able to register you with GRA US, continue to be a GRA US User or to allow you to use the GRA US Site and the Apps. When you contact us or we contact you or you take part in promotions, competitions, surveys or reviews about our services. These are the types of your personal data that we may collect in those situations: Your name, identity card/passport numbers, date of birth, gender, nationality, residential address, email address, contact numbers, This list is not exhaustive and may include other relevant personal details (depending on the nature of the transaction). Information relating to your membership of any of our Properties or Alliances, such as your rewards card number and membership pin. Your account login details, such as your username and the password that you have chosen. Information about your online redemption, for example, what have you redeemed, the number of points utilized for the redemption, when did you redeem this and frequency of redemption. Information about your online browsing behavior on our GRA US Site and Apps such as your interests, time spent on viewing a particular product and number of clicks on a particular product. Information about any devices you have used to access our GRA US Site and apps, including the make, model and operating system, IP address, browser type and mobile device identifiers, date and time of your access to our GRA US Site and Apps, address of website you were re-directed from to our website, other data transmitted through standard HTTP(s) request headers, data used to maintain online session after logging in. Information about how you use your GRA US vouchers or coupons with us. Personal data you provide about yourself anytime you contact us about our services (for example, your name, username and contact details, your GRA US number), including by phone, email or post or when you speak with us. 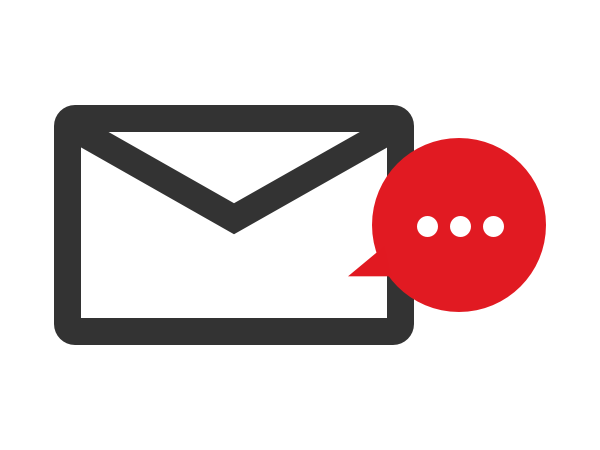 Details of the emails and other digital communications we send to you that you open, including any links in them that you click on (for example those that enable us to know whether and when you opened that communication). Your feedback and contributions to customer surveys or reviews. We may also use your personal data which we obtain from other sources, such as specialist companies that supply information or online media channels (which include websites, social media sites, pay TV providers and any other channels that become available to us). These other personal data helps us to improve and measure the effectiveness of our marketing communications, including online advertising. Make our services and membership rewards benefit available to you. Manage the accounts you hold with us, your orders and refunds. We need to process your personal data so that we can manage your customer accounts, provide you with the goods and services you want to redeem, any questions and refunds you may ask for. We also need to process your personal data so that we can provide you with the redemption statement, with your GRA US points, vouchers and/or coupons you earned while being our loyal customer. Manage And improve our day-to-day operations. Manage and improve our GRA US Site and Apps. Whenever you visit or use the GRA US Site and Apps, we may automatically receive and record information on our server logs from your browser including your IP address, "cookie" information, and the page you requested. "Cookies" are identifiers we transfer to your computer or mobile device that allow us to recognize your browser or mobile device and your visit to our GRA US Site. You may be able to change your browser preferences to prevent or limit acceptance of cookies, but this may deprive you from using certain areas or functions of the GRA US Site and Apps. The GRA US Site and Apps and some of the features on the GRA US Site and Apps may be restricted or rendered inoperable. Our website may contain links to third party‘s websites. Help to develop and improve our product range, services, information technology systems, know-how and the way we communicate with you. We rely on the use of your personal data to carry out market research and internal research and development, and to improve our information technology systems (including security) and our product range and services. Detect and prevent fraud or other crime. It is important for us to monitor how our GRA US Site and App are used to detect and prevent fraud, other crimes and the misuse of services. This helps us to make sure that you can safely use our GRA US Site and App in line with applicable terms and conditions. Personalize your GRA US experience. Use your online browsing behavior as well as your online redemptions to help us better understand you as a customer and provide you with personalized offers and services. Looking at your browsing behavior and redemptions allows us to personalize our offers (in terms of our product range, promotions, prices etc.) and services for you. This helps us meet your needs as a customer. Invite you to take part in and manage customer surveys, reviews and other market research activities carried out by us and by other organizations on our behalf. We carry out market research to improve our services as well as tailor personalized offers and promotions for you. However, if we contact you about this, you do not have to take part in the activities. If you tell us that you do not want us to contact you for market research, we will respect this choice. This will not affect your ability to use your GR points to redeem items at our GRA US Site and Apps. Manage promotions and competitions you take part in, including those we run with our Alliances. We need to process your personal data so that we can manage the promotions and competitions you choose to enter, inform you about upcoming events, promotions which we think may be of interest to you, based on your redemption profile. In order to resolve complaints, legal claims or disputes involving you or us. For example if you are not satisfied with the products you redeemed from us. Genting Rewards Alliance ("GRA") is a program for all Genting Rewards (“GR”) Members. GR Members from Resorts World Genting, Resorts World Manila, Resorts World AT SEA and Resorts World Casino New York City (collectively, "Properties") are the first to experience GRA. The owner, operator and manager of GRA, including its website and mobile applications (collectively, “GRA Site and Apps”) is RW Tech Labs Sdn Bhd ("RWTL") with its registered address at 24th Floor, Wisma Genting, No. 28, Jalan Sultan Ismail, 50250 Kuala Lumpur and contact number at 603 2333 2288. GRA is a global online redemption alliance program with participation from the Properties as alliances to the GRA ("Alliances"). GRA will be extended to more Properties/Alliances in the future. The list of Alliances will be updated from time to time. The Alliances are issuers of the Genting Rewards Program or such other program at their respective Properties. GRA is a platform for cross-redemption of rewards and promotional privileges in which great offers of goods, products such as rooms, cabins, show tickets, theme park tickets, services, discounts and privileges are made available by the Alliances for redemption. You can withdraw your consent and limit your consent, at any time, to any of the collection and use (including disclosure) of your personal data by email to us at grasupport@gentingrewards.com. Please note that if you withdraw or limit your consent, we may still contact you or use your personal data for purposes which you have not withdrawn or limited your consent. If you withdraw or limit your consent to any uses of your personal data, we may not be able to register you with GRA, continue to be a GRA User or to allow you to use the GRA Site and the Apps. When you register as a GRA member with us. When you redeem items from our GRA Site or browse our GRA Site or use our Apps, or use GRA issued vouchers or coupons. Your name, identity card/passport numbers, date of birth, gender, nationality, residential address, email address, contact numbers, This list is not exhaustive and may include other relevant personal details (depending on the nature of the transaction). Information about your online browsing behaviour on our GRA Site and Apps such as your interests, time spent on viewing a particular product and number of clicks on a particular product. Information about any devices you have used to access our GRA Site and apps, including the make, model and operating system, IP address, browser type and mobile device identifiers, date and time of your access to our GRA Site and Apps, address of website you were re-directed from to our website, other data transmitted through standard HTTP(s) request headers, data used to maintain online session after logging in. Information about how you use your GRA vouchers or coupons with us. Personal data you provide about yourself anytime you contact us about our services (for example, your name, username and contact details, your GRA number), including by phone, email or post or when you speak with us. Make our services and membership rewards benefit available to you. Manage the accounts you hold with us, your orders and refunds. We need to process your personal data so that we can manage your customer accounts, provide you with the goods and services you want to redeem, any questions and refunds you may ask for. We also need to process your personal data so that we can provide you with the redemption statement, with your GRA points, vouchers and/or coupons you earned while being our loyal customer. Manage And improve our day-to-day operations. Manage and improve our GRA Site and Apps. Whenever you visit or use the GRA Site and Apps, we may automatically receive and record information on our server logs from your browser including your IP address, "cookie" information, and the page you requested. "Cookies" are identifiers we transfer to your computer or mobile device that allow us to recognize your browser or mobile device and your visit to our GRA Site. You may be able to change your browser preferences to prevent or limit acceptance of cookies, but this may deprive you from using certain areas or functions of the GRA Site and Apps. The GRA Site and Apps and some of the features on the GRA Site and Apps may be restricted or rendered inoperable. Our website may contain links to third party‘s websites. Detect and prevent fraud or other crime. It is important for us to monitor how our GRA Site and App are used to detect and prevent fraud, other crimes and the misuse of services. This helps us to make sure that you can safely use our GRA Site and App in line with applicable terms and conditions. Personalise your GRA experience. Use your online browsing behaviour as well as your online redemptions to help us better understand you as a customer and provide you with personalised offers and services. Looking at your browsing behaviour and redemptions allows us to personalise our offers (in terms of our product range, promotions, prices etc.) and services for you. This helps us meet your needs as a customer. Provide you with relevant marketing communications (including by email, SMS, post, online advertising or social media platforms or WhatsApp communication, relating to our products and services. As part of this, online advertising may be displayed on websites across the Genting Group and on other organisations’ websites and (including for example through Google AdWords). We may also measure the effectiveness of our marketing communications. We want to ensure that we provide you with marketing communications, including online advertising, that are relevant and personalised to your interests. To achieve this we also measure your responses to marketing communications relating to products and services we offer, which also means we can offer you products and services that better meet your needs as a customer. You can change your marketing choices, both when you register with us, and at any time after that. You also have choices when it comes to online advertising. We set out below your choices when it comes to cookies, and how you can control your online behavioural advertising preferences. Invite you to take part in and manage customer surveys, reviews and other market research activities carried out by us and by other organisations on our behalf. We carry out market research to improve our services as well as tailor personalised offers and promotions for you. However, if we contact you about this, you do not have to take part in the activities. If you tell us that you do not want us to contact you for market research, we will respect this choice. This will not affect your ability to use your GR points to redeem items at our GRA Site and Apps. While we have security measures in our systems to protect the safety of your personal data, there is no assurance that such measures are guaranteed to be 100% secure. Your personal data is only accessible to our authorized personnel on a need to know basis, for the sole purpose of discharging their employment obligations. We will as soon as reasonably practicable inform you if we discover that the security of your personal data has been compromised. The information to be conveyed to you will also include the type of personal data which has been leaked, when it was leaked and what protective measures you should take. Subject to applicable laws and regulations, we will retain your personal data: (i) no longer than necessary for the fulfillment of the purposes disclosed herein, for as long as you remain a GRA User; or (ii) if you are no longer a GRA User, 2 years after you last accessed the GRA Site and Apps or we have last corresponded with you; or (iii) as required by applicable law; or (iv) in connection with pending and threatened legal actions. Personal data will be destroyed or de-identified when no longer needed. 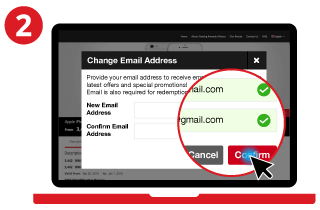 Upon verification, you can access your personal data held by us by email to us at grasupport@gentingrewards.com. We will endeavour to provide you with suitable means of accessing your personal data (e.g. by emailing or mailing it to you). We reserve the right to validate all requests for the authencity of the request. Feel free to write to us through our feedback column or contact our Data Protection Officers at dataprotection@gentingrewards.com. Gabungan Ganjaran Genting ("GRA") merupakan program untuk semua Ahli Ganjaran Genting (“GR”). Ahli GR dari Resorts World Genting, Resorts World Manila, Resorts World AT SEA dan Resorts World Casino New York City (kesemuanya, "Hartanah") adalah mereka yang pertama menikmati pengalaman GRA. Pemilik, pengendali dan pengurus GRA, termasuk laman web dan aplikasi mudah alihnya (kesemuanya, “Laman dan Apps GRA”) ialah RW Tech Labs Sdn Bhd ("RWTL") dengan alamat berdaftar di Tingkat 24, Wisma Genting, No. 28, Jalan Sultan Ismail, 50250 Kuala Lumpur dan nombor telefon 603 2333 2288. GRA ialah program gabungan penebusan dalam talian global dengan penyertaan Hartanah sebagai gabungan kepada GRA ("Gabungan"). GRA akan diperluaskan kepada lebih banyak Hartanah/Gabungan pada masa hadapan. Senarai Gabungan akan dikemas kini dari masa ke masa. Gabungan ialah penerbit-penerbit Program Ganjaran Genting atau program seumpama lain di Hartanah masing-masing. GRA merupakan platform untuk penebusan bersilang bagi ganjaran dan keistimewaan promosi di mana tawaran hebat barangan, produk seperti bilik, kabin, tiket persembahan, tiket taman tema, perkhidmatan, diskaun dan keistimewaan disediakan oleh Gabungan untuk penebusan. Sebagai pengguna Gabungan Ganjaran Genting ("Pengguna GRA") dan apabila melawat dan/atau menggunakan perkhidmatan kami di laman web kami dan/atau aplikasi mudah alih kami (bersama, "Laman dan Apps GRA"), anda bersetuju dan membenarkan pengumpulan, pemegangan, pemprosesan dan penggunaan data peribadi anda oleh kami selaras dengan GRA menurut Dasar Kerahsiaan ini. 1. Apakah Yang Dirangkumi Dasar Kerahsiaan Ini? RWTL ("kami", "kita", "diri kami") menghormati kerahsiaan anda. Sehubungannya, kami mewujudkan Dasar Kerahsiaan ini untuk menerangkan kepada anda jenis data peribadi yang kami kumpulkan daripada anda; menerangkan bagaimana dan mengapa kami mengumpul dan memproses data peribadi anda, menerangkan bila dan mengapa kami akan berkongsi data peribadi anda dalam syarikat kumpulan kami dan dengan rakan luar; dan menerangkan hak dan pilihan yang anda miliki apabila ia berkaitan dengan data peribadi anda. Data peribadi ialah data yang, sama ada dengan sendirinya atau bersama dengan data dan maklumat lain, boleh digunakan untuk mengenal pasti anda. Sila rujuk kepada perenggan 3 jika anda ingin mengetahui lebih lanjut tentang jenis data peribadi yang kami kumpulkan daripada anda. Tertakluk kepada kami telah mendapatkan kebenaran anda, data peribadi anda akan digunakan oleh kami dan penerima milik yang dinyatakan dalam Dasar Kerahsiaan ini. Anda boleh membatalkan kebenaran dan mengehadkan kebenaran anda, pada bila-bila masa, kepada sebarang pengumpulan dan penggunaan (termasuk pendedahan) data peribadi anda melalui e-mel kepada kami di grasupport@gentingrewards.com. Sila ambil maklum bahawa jika anda membatalkan atau mengehadkan kebenaran anda, kami masih boleh menghubungi anda atau menggunakan data peribadi anda bagi tujuan yang anda tidak membatalkan atau mengehadkan kebenaran anda. Jika anda membatalkan atau mengehadkan kebenaran anda ke atas sebarang penggunaan data peribadi anda, kami mungkin tidak dapat mendaftarkan anda dengan GRA, kekal sebagai Pengguna GRA atau membenarkan anda menggunakan Laman dan Apps GRA. Apabila anda mendaftar sebagai ahli GRA dengan kami. Apabila anda menebus barang daripada Laman GRA kami atau melayari Laman GRA kami atau menggunakan Apps kami, atau menggunakan baucar atau kupon yang dikeluarkan GRA. Apabila anda menghubungi kami atau kami menghubungi anda atau anda mengambil bahagian dalam promosi, pertandingan, kaji selidik atau kajian semula tentang perkhidmatan kami. Nama, nombor kad pengenalan/pasport, tarikh lahir, jantina, kewarganegaraan, alamat kediaman, alamat e-mel, nombor menghubungi anda. Senarai ini adalah tidak menyeluruh dan mungkin termasuk butiran peribadi berkaitan yang lain (bergantung pada sifat urus niaga). Maklumat berkaitan dengan keahlian anda bagi mana-mana Hartanah atau Gabungan kami, seperti nombor kad ganjaran dan pin keahlian anda. Butiran log masuk akaun anda, seperti nama pengguna anda dan kata laluan yang telah anda pilih. Maklumat tentang penebusan dalam talian anda, contohnya, apa yang telah anda tebus, bilangan mata yang digunakan untuk penebusan, bila anda membuat penebusan ini dan kekerapan penebusan. Maklumat tentang tingkah laku melayari dalam talian anda di Laman dan Apps GRA kami seperti minat anda, masa yang digunakan untuk melihat produk tertentu dan bilangan klik ke atas produk tertentu. Maklumat tentang apa-apa peranti yang telah anda gunakan untuk mengakses Laman dan Apps GRA kami, termasuk buatan, model dan sistem pengendalian, alamat IP, jenis pelayar dan pengenal pasti peranti mudah alih, tarikh dan masa anda mengakses Laman dan Apps GRA, alamat laman web dari mana anda telah diarahkan semula ke laman web kami, data lain yang dihantar melalui pengepala permintaan HTTP standard, data yang digunakan untuk mengekalkan sesi dalam talian selepas log masuk. Maklumat tentang bagaimana anda mengguna baucar atau kupon GRA anda dengan kami. Data peribadi yang anda berikan tentang diri anda pada bila-bila masa anda menghubungi kami tentang perkhidmatan kami (contohnya, nama, nama pengguna dan butiran menghubungi anda, nombor GRA anda), termasuk melalui telefon, e-mel atau pos atau apabila anda bercakap dengan kami. Butiran e-mel dan komunikasi digital lain yang kami hantar kepada anda yang anda buka, termasuk apa-apa pautan dalamnya yang anda klik (contohnya yang membolehkan kami mengetahui sama ada dan bila anda membuka komunikasi tersebut). Kami juga boleh menggunakan data peribadi anda yang kami peroleh daripada sumber lain, seperti syarikat pakar yang menyediakan maklumat atau saluran media dalam talian (yang termasuk laman web, laman media sosial, pembekal TV berbayar dan apa-apa saluran lain yang tersedia ada kepada kami). Data peribadi lain ini membantu kami menambah baik dan menilai keberkesanan komunikasi pemasaran kami, termasuk pengiklanan dalam talian. Menjadikan perkhidmatan dan manfaat ganjaran keahlian kami tersedia kepada anda. Mengurus akaun yang anda pegang dengan kami, pesanan dan bayaran balik wang anda. Kami perlu memproses data peribadi anda supaya kami boleh menguruskan akaun pelanggan anda, menyediakan kepada anda barangan dan perkhidmatan yang anda ingin tebus, sebarang pertanyaan dan bayaran balik wang yang anda mungkin ingin dapatkan. Kami juga perlu memproses data peribadi anda supaya kami boleh menyediakan kepada anda penyata penebusan, dengan mata GRA, baucar dan/atau kupon yang anda peroleh ketika menjadi pelanggan setia kami. Mengurus dan menambah baik operasi harian kami. Mengurus dan menambah baik Laman dan Apps GRA kami. Apabila anda melawat atau menggunakan Laman dan Apps GRA, kami boleh secara automatik menerima dan merekodkan maklumat dalam log pelayan kami dari pelayar anda termasuk alamat IP anda, maklumat "cookie", dan laman yang anda minta. "Cookie" ialah pengenal pasti yang kami pindahkan kepada komputer atau peranti mudah alih anda yang membolehkan kami mengecam pelayar atau peranti mudah alih anda dan lawatan anda ke Laman GRA kami. Anda mungkin dapat menukar pilihan pelayar anda untuk menghalang atau mengehadkan penerimaan cookie, tetapi ini boleh menghalang anda daripada menggunakan bahagian atau fungsi tertentu dalam Laman dan Apps GRA. Laman dan Apps GRA dan beberapa ciri Laman dan Apps GRA boleh dihadkan atau dijadikan tidak berfungsi. Laman web kami mungkin mengandungi pautan kepada laman web pihak ketiga. Membantu untuk membangun dan menambah baik rangkaian produk kami, perkhidmatan, sistem teknologi maklumat, pengetahuan dan cara kami berkomunikasi dengan anda. Kami bergantung pada penggunaan data peribadi anda untuk menjalankan penyelidikan pasaran serta penyelidikan dan pembangunan dalaman, dan untuk menambah baik sistem teknologi maklumat kami (termasuk keselamatan) dan rangkaian produk dan perkhidmatan kami. Mengesan dan menghalang penipuan atau jenayah lain. Adalah penting bagi kami untuk memantau bagaimana Laman dan Apps GRA kami digunakan untuk mengesan dan menghalang penipuan, jenayah lain dan salah guna perkhidmatan. Ini membantu kami untuk memastikan bahawa anda boleh menggunakan Laman dan Apps GRA kami dengan selamat selaras dengan terma dan syarat terpakai. Memperibadikan pengalaman GRA anda. Menggunakan tingkah laku layaran dalam talian anda serta penebusan dalam talian anda untuk membantu kami lebih memahami anda sebagai pelanggan dan menyediakan kepada anda tawaran dan perkhidmatan yang diperibadikan. Mengetahui tingkah laku layaran dan penebusan anda membolehkan kami memperibadikan tawaran (dari segi rangkaian produk kami, promosi, harga dan lain-lain) dan perkhidmatan kami kepada anda. Ini membantu kami memenuhi keperluan anda sebagai pelanggan. Menyediakan kepada anda komunikasi pemasaran yang berkaitan (termasuk melalui e-mel, SMS, pos, pengiklanan dalam talian atau platform media sosial atau komunikasi WhatsApp), berhubung dengan produk dan perkhidmatan kami. Sebagai sebahagian daripada ini, pengiklanan dalam talian boleh dipaparkan di laman web di seluruh Kumpulan Genting dan di laman web organisasi lain (termasuk, contohnya melalui Google AdWords). Kami juga boleh menilai keberkesanan komunikasi pemasaran kami. Kami ingin memastikan bahawa kami menyediakan kepada anda komunikasi pemasaran, termasuk pengiklanan dalam talian, yang berkaitan dan diperibadikan mengikut minat anda. Untuk mencapai ini kami juga menilai maklum balas anda kepada komunikasi pemasaran berhubung dengan produk dan perkhidmatan yang kami tawarkan, yang juga bermakna kami boleh menawarkan kepada anda produk dan perkhidmatan yang lebih memenuhi keperluan anda sebagai pelanggan. Anda boleh mengubah pilihan pemasaran anda, semasa anda mendaftar dengan kami, dan juga pada bila-bila masa selepas itu. Anda juga mempunyai pilihan apabila ia berkaitan dengan pengiklanan dalam talian. Kami menyatakan di bawah pilihan anda apabila ia berkaitan dengan cookie, dan bagaimana anda boleh mengawal pilihan pengiklanan tingkah laku dalam talian anda. Mempelawa anda untuk mengambil bahagian dalam dan menguruskan kaji selidik pelanggan, kajian semula dan aktiviti penyelidikan pasaran lain yang kami jalankan dan yang dijalankan oleh organisasi yang lain bagi pihak kami. Kami menjalankan penyelidikan pasaran untuk menambah baik perkhidmatan kami serta menyesuaikan tawaran dan promosi yang diperibadikan kepada anda. Walau bagaimanapun, jika kami menghubungi anda tentang ini, anda tidak semestinya perlu mengambil bahagian dalam aktiviti ini. Jika anda memberitahu kami bahawa anda tidak ingin kami menghubungi anda bagi penyelidikan pasaran, kami akan menghormati pilihan ini. Ini tidak akan mempengaruhi keupayaan anda untuk menggunakan mata GR anda untuk menebus barang di Laman dan Apps GRA kami. Menghubungi dan berinteraksi dengan anda. Menghubungi anda tentang perkhidmatan kami, contohnya melalui telefon, e-mel atau pos atau platform media sosial atau dengan memberi maklum balas kepada siaran media sosial yang anda telah tujukan kepada kami. Kami ingin memberi perkhidmatan yang lebih baik kepada anda sebagai pelanggan oleh itu kami menggunakan data peribadi untuk memberi penjelasan atau bantuan sebagai maklum balas kepada komunikasi anda serta untuk memaklumkan tentang perubahan yang telah kami buat atau akan buat kepada perkhidmatan kami yang mempengaruhi anda (seperti perubahan kepada Dasar Kerahsiaan ini atau kepada terma & syarat perkhidmatan kami). Menguruskan promosi dan pertandingan yang anda sertai, termasuk yang kami jalankan bersama dengan Gabungan kami. Kami perlu memproses data peribadi anda supaya kami boleh menguruskan promosi dan pertandingan yang anda pilih untuk sertai, memaklumkan anda tentang acara, promosi akan datang yang kami fikir mungkin menarik minat anda, berdasarkan profil penebusan anda. Demi menyelesaikan aduan, tuntutan perundangan atau pertikaian yang melibatkan anda atau kami. Contohnya jika anda tidak berpuas hati dengan produk yang anda tebus daripada kami. Tertakluk kepada kebenaran yang kami peroleh daripada anda, kami (termasuk syarikat pemegangan, anak syarikat, sekutu atau perbadanan berkaitan kami) dan Gabungan (termasuk syarikat pemegangan, anak syarikat, sekutu dan perbadanan berkaitan masing-masing) boleh menggunakan data peribadi anda yang telah dikumpulkan seperti mana yang terkandung dalam Dasar Kerahsiaan ini untuk menghantar komunikasi pemasaran seperti surat, e-mel atau pesanan elektronik lain untuk tujuan pemasaran langsung berhubung dengan produk dan perkhidmatan yang ditawarkan oleh GRA. Jika anda tidak ingin menerima bahan pemasaran ini, anda boleh memilih untuk tidak menerima komunikasi tersebut daripada kami pada bila-bila masa dengan mengklik pautan “tidak melanggan” pada komunikasi pemasaran berkaitan atau e-mel permintaan anda kepada grasupport@gentingrewards.com. Laman GRA dikawal dan dikendalikan oleh kami dari Malaysia dan ditadbir menurut undang-undang Malaysia. Walau bagaimanapun, kami boleh mendedahkan data peribadi anda di luar Malaysia, kepada (i) syarikat pemegangan, anak syarikat, syarikat sekutu atau perbadanan berkaitan kami dan/atau kepada pembekal perkhidmatan pihak ketiga lain berhubung dengan operasi GRA, dan/atau (ii) Gabungan dan syarikat pemegangan, anak syarikat, syarikat sekutu atau perbadanan berkaitan masing-masing, dan secara bersama menggunakan data peribadi anda untuk tujuan supaya kami dapat mengendalikan GRA dan Laman dan Apps GRA. Khususnya, apabila anda menebus sebarang produk/perkhidmatan, data peribadi anda akan dihantar kepada Gabungan untuk memudahkan penebusan dan menikmati produk/perkhidmatan. GRA merupakan program antarabangsa dan Gabungan adalah berpusat antarabangsa dan mungkin terletak di negara-negara di luar Malaysia. Oleh demikian, data peribadi yang anda bekalkan boleh dipindah, diguna, diproses, disimpan dan diakses serata dunia, tertakluk kepada terma Dasar Kerahsiaan ini. Kami boleh mendedahkan data peribadi anda bagi memenuhi sebarang permintaan agensi penguat kuasa undang-undang dan agensi kerajaan. Kami boleh memindahkan maklumat tentang anda kepada seorang pembeli jika aset perniagaan kami dibeli. Kami akan menggunakan semua usaha munasabah untuk memastikan data peribadi anda, jika dipindahkan kepada penerima pindah yang dibenarkan, dilindungi menurut sebarang undang-undang yang terpakai. Walaupun kami mempunyai langkah-langkah keselamatan dalam sistem kami untuk melindungi keselamatan data peribadi anda, tiada jaminan bahawa langkah-langkah tersebut terjamin selamat 100%. Data peribadi anda hanya dapat diakses oleh pekerja kami yang diberi kuasa atas dasar perlu tahu, hanya untuk tujuan menjalankan tanggungjawab pekerjaan mereka. Kami akan memaklumkan kepada anda secepat yang munasabah jika kami mendapati keselamatan data peribadi anda telah dikompromi. Maklumat yang akan disampaikan kepada anda juga akan termasuk jenis data peribadi yang terbocor, bila ia terbocor dan apakah langkah perlindungan yang perlu anda ambil. Tertakluk kepada undang-undang dan peraturan terpakai, kami akan menyimpan data peribadi anda: (i) tidak lebih lama daripada yang diperlukan untuk memenuhi tujuan yang dinyatakan di sini, selama anda kekal sebagai Pengguna GRA; atau (ii) jika anda bukan lagi Pengguna GRA, 2 tahun selepas kali terakhir anda mengakses Laman dan Apps GRA atau kali terakhir kami menghubungi anda; atau (iii) sebagaimana dikehendaki menurut undang-undang terpakai; atau (iv) berkaitan dengan tindakan undang-undang yang belum selesai dan terancam. Data peribadi akan dimusnahkan atau tidak lagi dikenal pasti apabila tidak lagi diperlukan. Apabila disahkan, anda boleh mengakses data peribadi anda yang dipegang oleh kami melalui e-mel kepada kami di grasupport@gentingrewards.com. Kami akan berusaha untuk membekalkan kepada anda cara-cara yang sesuai untuk mengakses data peribadi anda (contoh dengan e-mel atau mengepos kepada anda). Anda boleh meminta kami membetulkan atau mengemas kini data peribadi anda dengan menghubungi kami di grasupport@gentingrewards.com. Kami akan mempertimbangkan jika maklumat tersebut memerlukan pindaan. Jika kami tidak dapat memenuhi permintaan anda, kami akan memaklumkan anda sebabnya. Anda boleh meminta kami untuk menyingkirkan data peribadi anda jika data peribadi anda tidak lagi diperlukan untuk tujuan Dasar Kerahsiaan ini. Kami mempunyai hak untuk mengesahkan kesemua permintaan bagi kesahihan permintaan. Kami boleh meminda Dasar Kerahsiaan ini dari masa ke masa. Jika pada bila-bila masa kami memutuskan untuk menggunakan data peribadi yang anda kemukakan di bawah Dasar Kerahsiaan semasa ini dengan cara yang berlainan secara material daripada Dasar Kerahsiaan yang terpakai pada masa pengemukaan tersebut (“Perubahan Material dalam Penggunaan”), kami akan memaklumkan kepada anda butiran Perubahan Material dalam Penggunaan dan memohon persetujuan anda semula bagi Perubahan Material dalam Penggunaan. Dasar Kerahsiaan ini harus dibaca bersama Terma dan Syarat Gabungan Genting Rewards®. Sila hubungi kami melalui ruang maklum balas kami atau hubungi Pegawai Perlindungan Data kami di dataprotection@gentingrewards.com. 11. Jika terdapat percanggahan antara versi Bahasa Inggeris dan versi bukan Bahasa Inggeris Dasar Kerahsiaan ini, versi Bahasa Inggeris akan terpakai, setakat percanggahan tersebut. Dasar Kerahsiaan ini menerangkan secara umum bagaimana kami mengumpul, mengguna dan melindungi kerahsiaan data peribadi anda. Sila ambil perhatian bahawa Dasar Kerahsiaan ini diselaraskan kepada prinsip umum perlindungan data dalam kebanyakan bidang kuasa, walaupun mungkin terdapat variasi tertentu disebabkan keperluan tempatan.